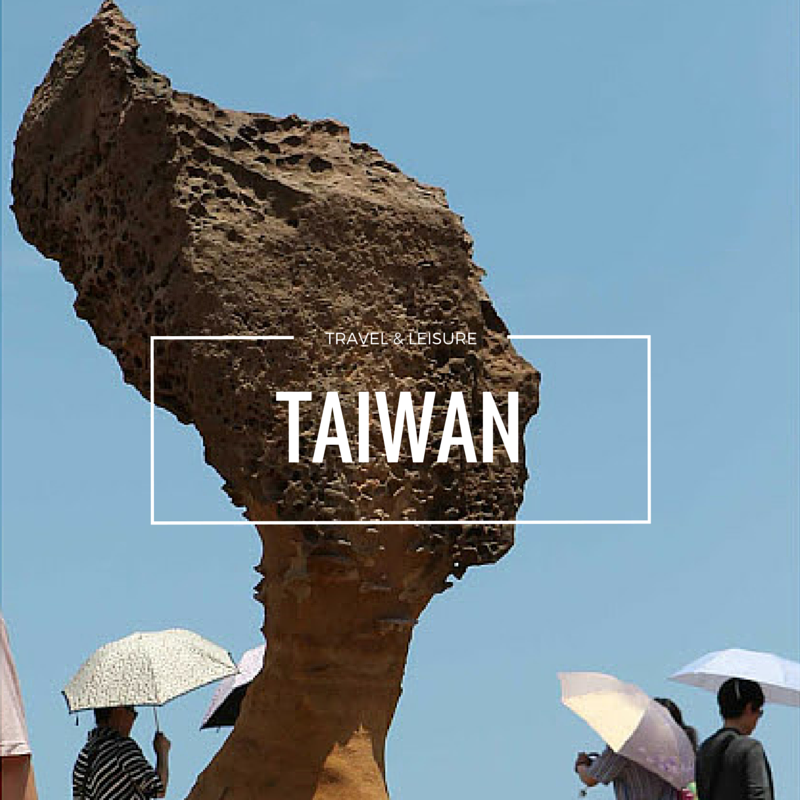 One World Hotel is one of the hotel which provide innovatie that parades a range of culinary creativity, skilfully fusing the cuisine of both East and the West. Cinnamon Coffee House is a restaurant which covers local and international cuisine experiences in a single venue. The coffee house is well decorated with the warmth and beautiful little glass bubbles on top. 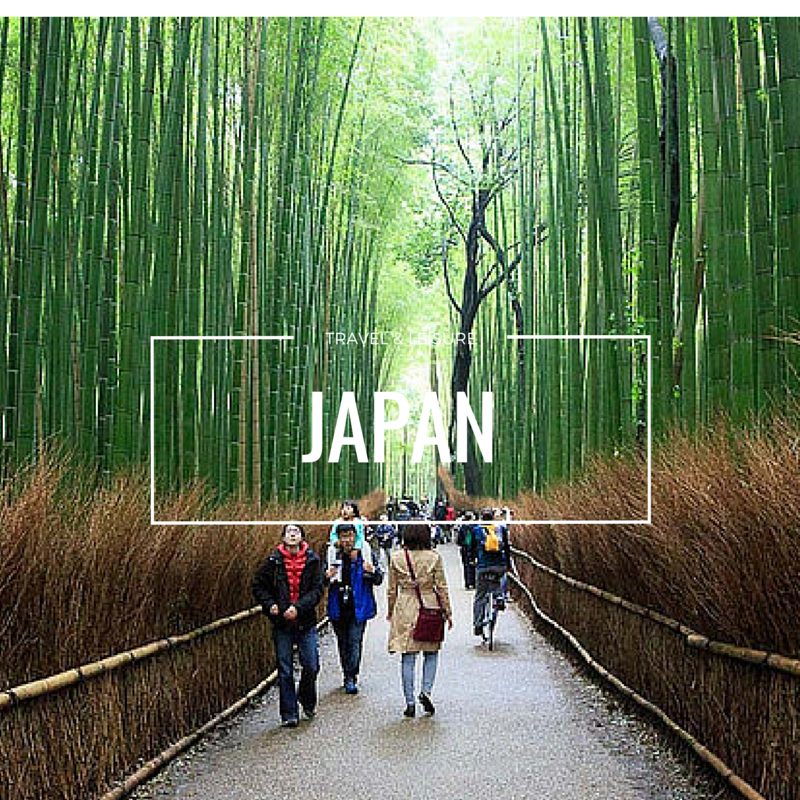 There is also an outdoor dining area with water features and bamboo plants. One of the specials of the restaurant is they features an open kitchen concept where guests can watch chefs prepare their food. 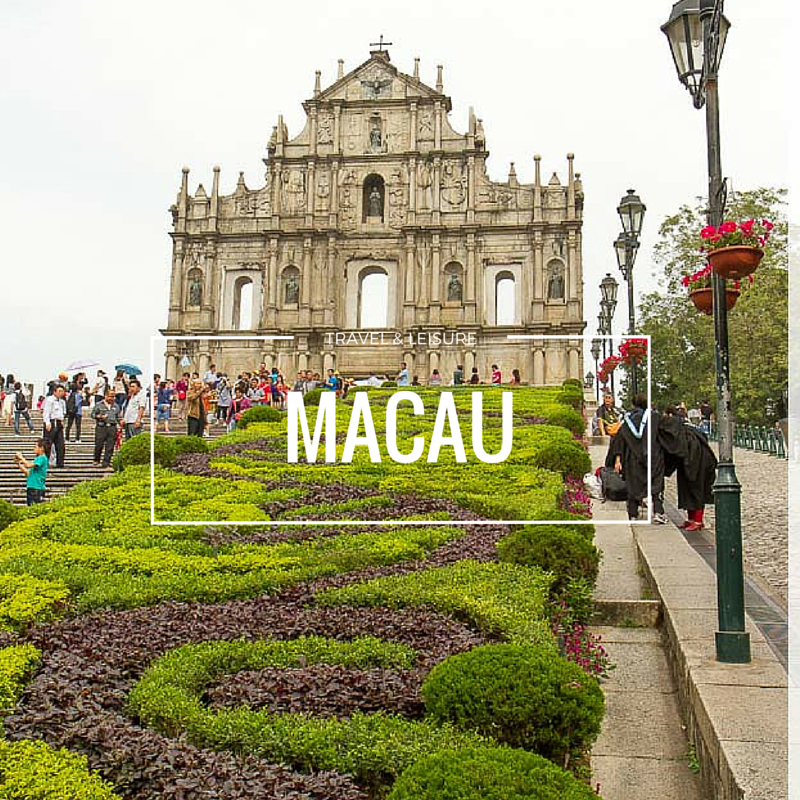 The hotels can takes a capacity 260 persons at one time. 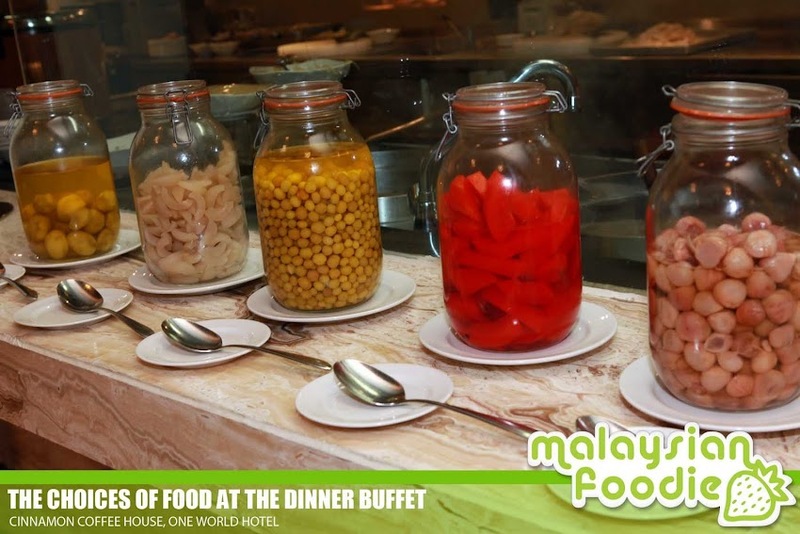 They have some appetizers to start up your meal with the soury items at the counter to start of your buffet. This includes the famous Penang Nutmeg, Papaya slices, and more. 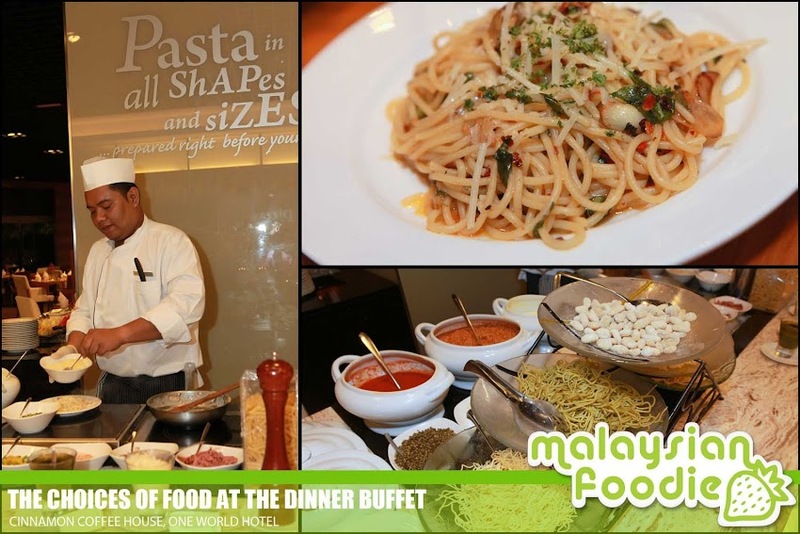 A round tour of food is started of with the pastas where there are being cooked on the spot and you may placed our order at the counter to the chef and they will prepare on the spot for you. The noodles which is being prepared is own made from their kitchen to serves on the table to feast. 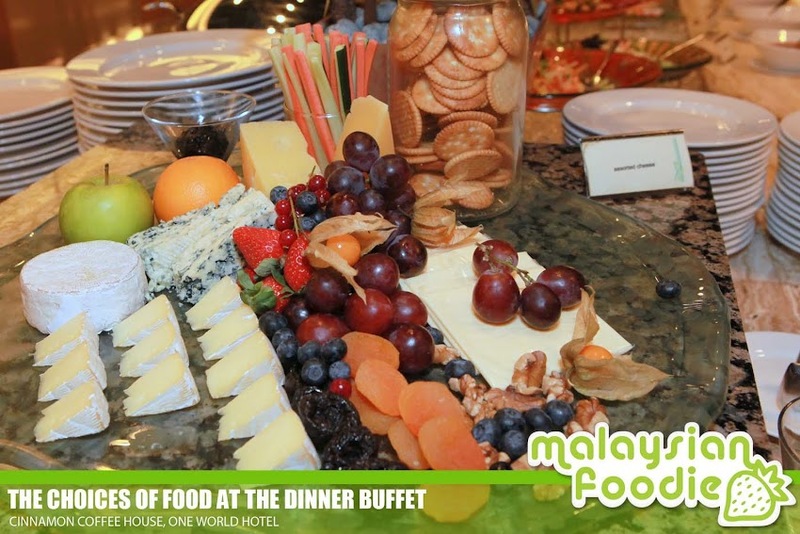 You may savour yourself with the cheese too at the cheese bar as they have a variety of cheese there. The Western counter is serving a selection of western meals in smaller portion. 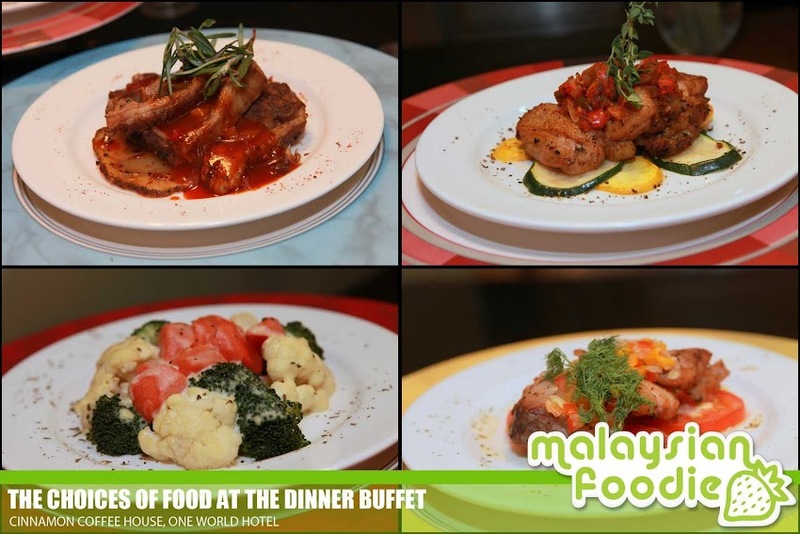 They are in order to made where you just need to choose which western you prefer and it will be cooked on the spot to be served to you. 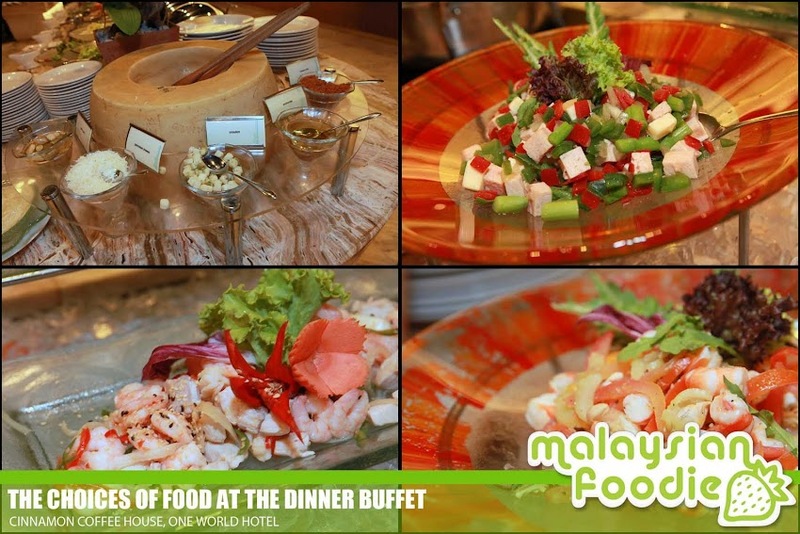 Love Malaysian Delights? 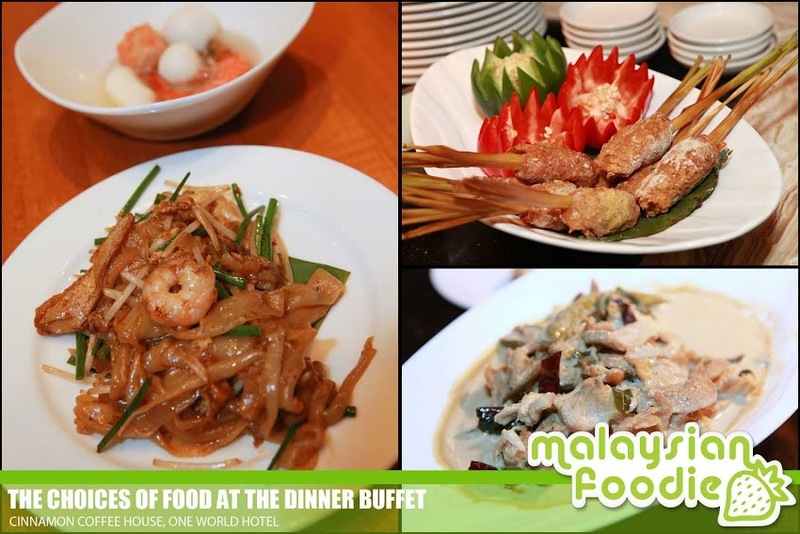 Here you go with a stretch of counters with a few top Malaysian foods like Char Koay Teow, Mee Rebus, Laksa Johor, Yong Tau Fu, Terengganu Noodles as well as the Chicken Rice. The selection changes every day to accomadate to different styles of tastebuds. 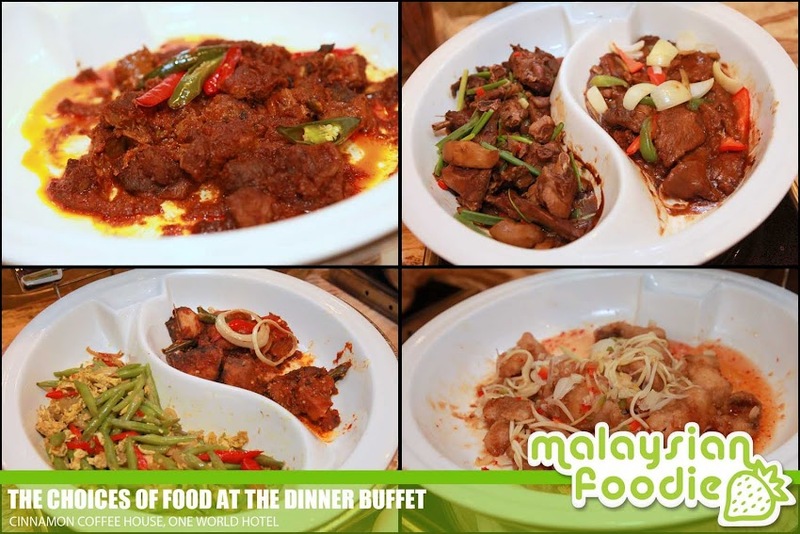 And here you can try all of their Malaysian delights which is cooked on the spot as well. For porridge lovers, they will never miss the porridge corner and tonight they serves with the crab porridge and you may fill up with the condiments to your meal as well. 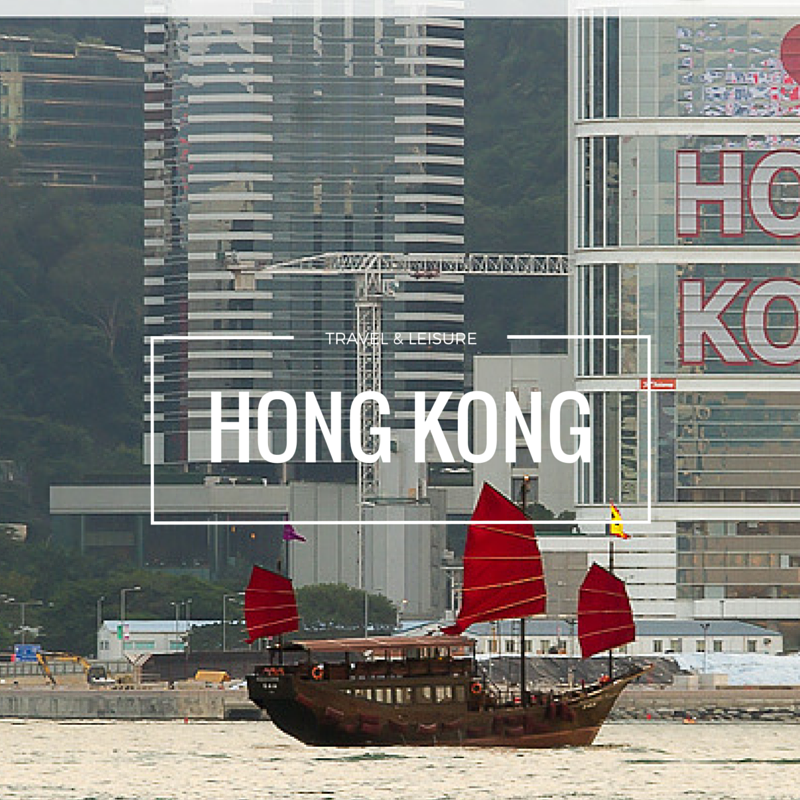 If you like dim sum, here you go with the variety of Hongkies delights like the siew mai, mini pau and more. 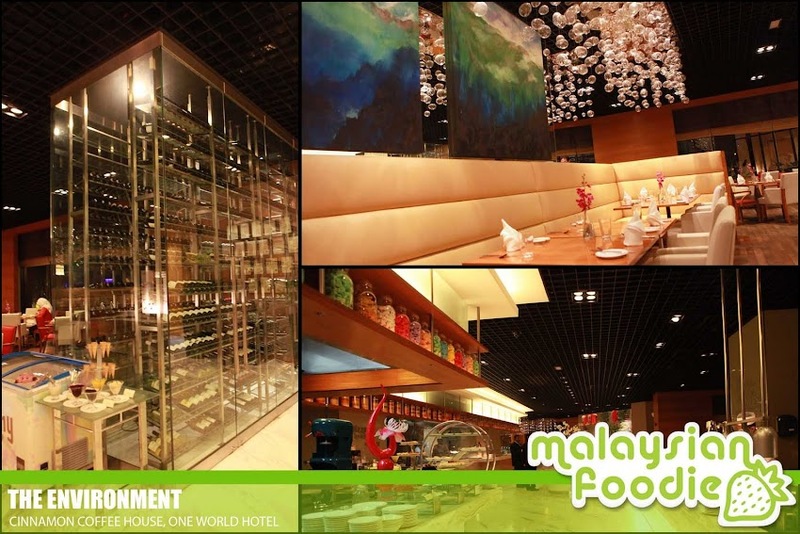 They also have Indian and Malay Counter which fill you up with the tantalizing spicy curry. 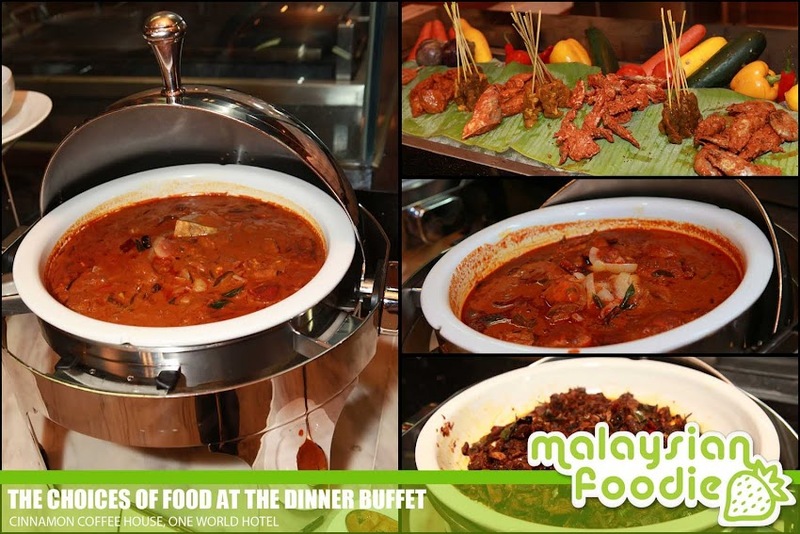 They do serve a majority of the Indian delights which includes daal, Curry chicken, lamb and also our Malaysian Satays. 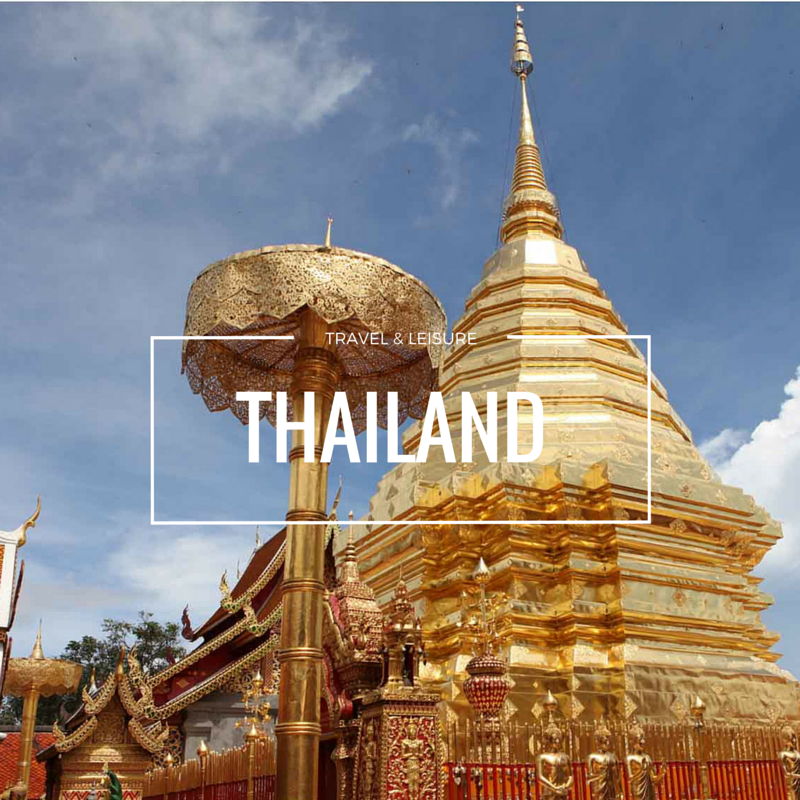 The satays comes in 3 types which is the beef, lamb as well as chicken satay and you may have them with the ketupat, slice onions, cucumber with the thick peanut gravy. 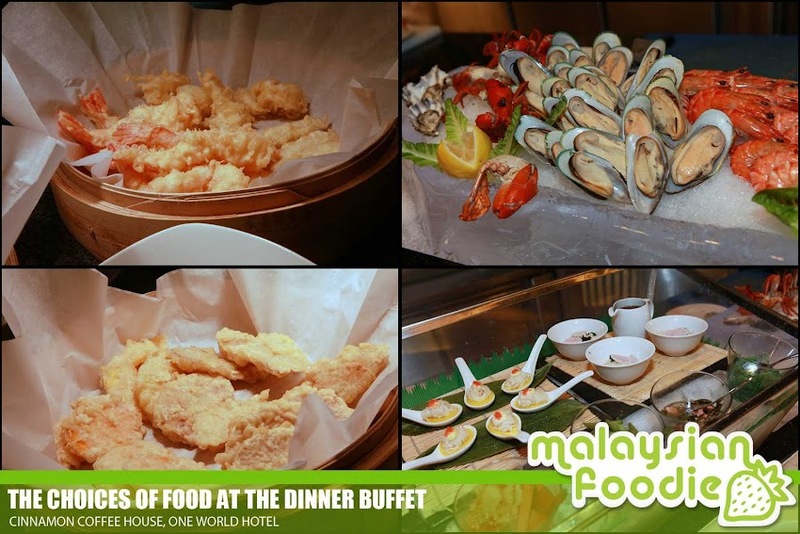 Not to forget, Japanese Cuisine lovers should be a definite to fall in love with the fresh deep blue seafood on ice which you may find the fresh oysters, mussels, prawns and crab which is laid at the cold ice. 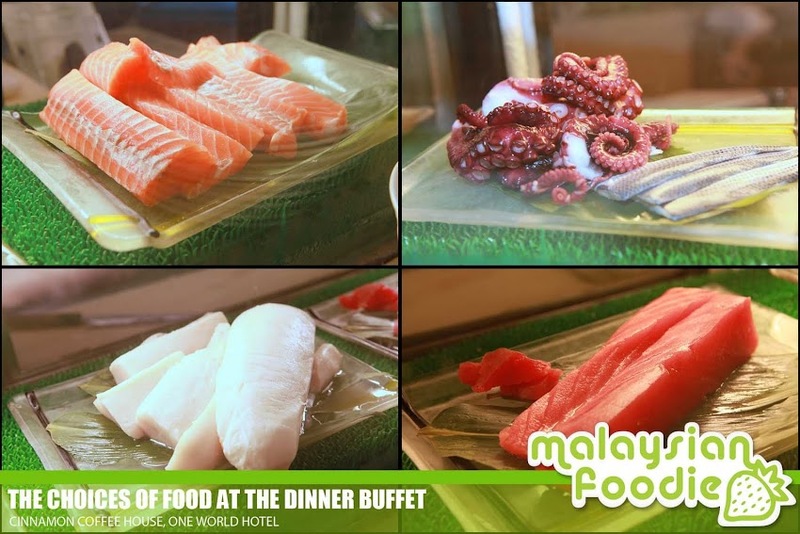 They also served a variety of sushi which is made on spot and the fresh sashimi, salmon, tuna and butterfish was available. Not only raw items, they do serves tempura as well in the meal. 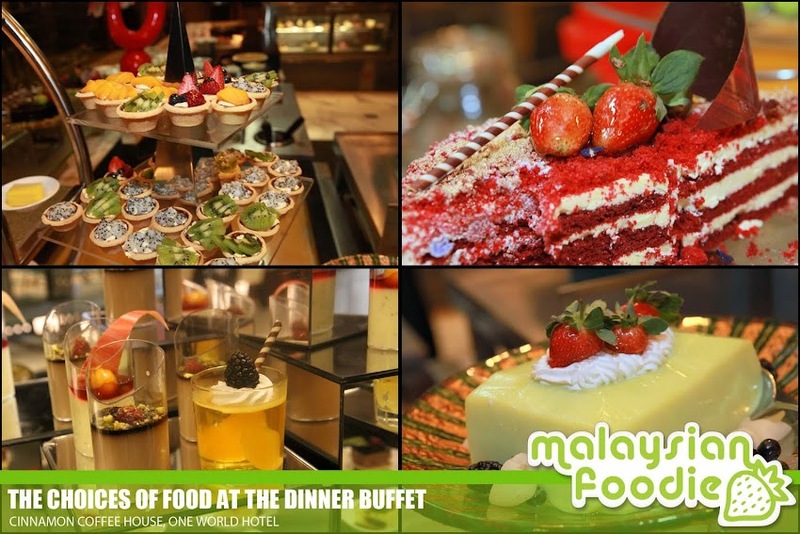 You may complete your meal with sweet delights and they do serves assorted cakes, kuih, desserts and more. They have a corner where you can find a large variety of tiny beautifully made cakes which is recommended to try. One of it is the Red Velvet Cake which is delicious and comes with some golden powder to furnish it. Besides cakes, they also serves Nyonya Kuih as well. They do serves fried ice-cream where you can find them in many Italian Galeto ice cream shops. 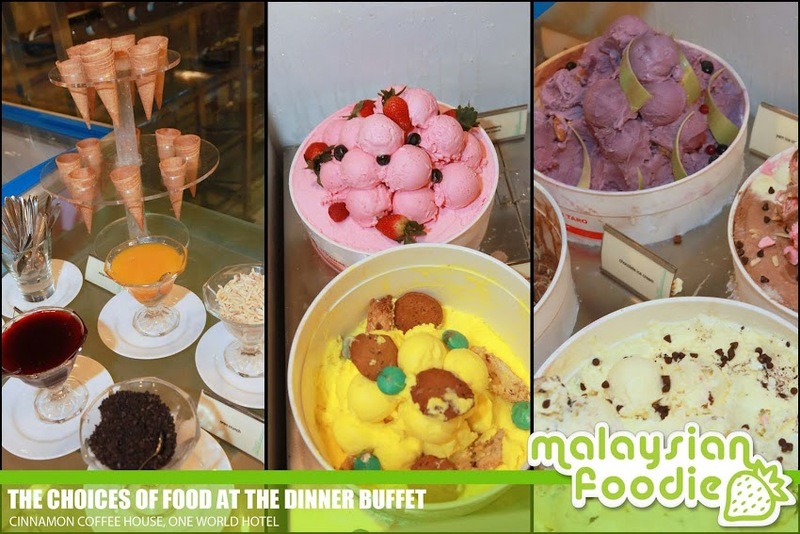 There are also assorted choices of ice creams for you to choose as well. 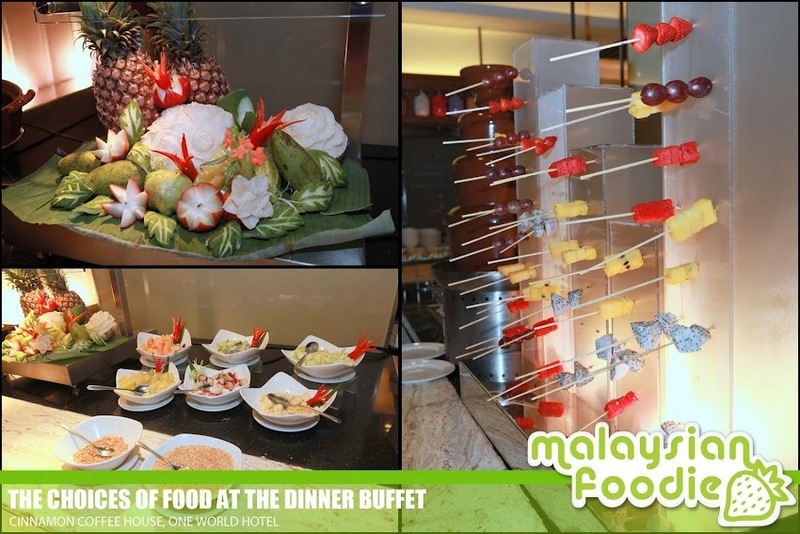 If you are a fans of chocolates, don’t miss their chocolate fountain and make your own dip of fruits and more on the chocolate fountain. 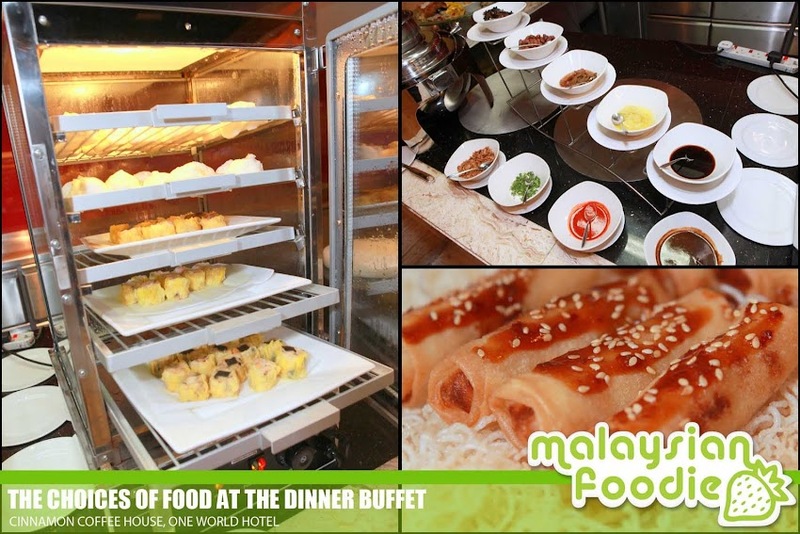 Not to be missed, they do serve our Malaysian favorite Rojak as well. 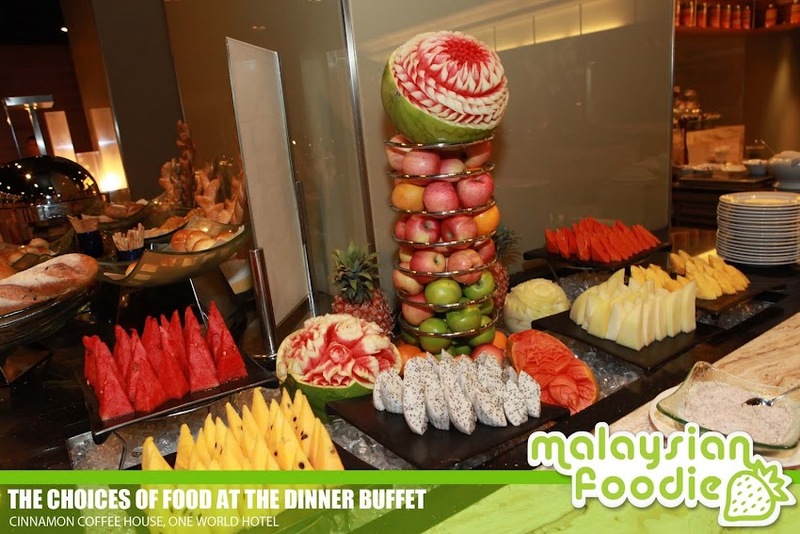 You can make your own rojak on here with the rojak paste and fruits provided. 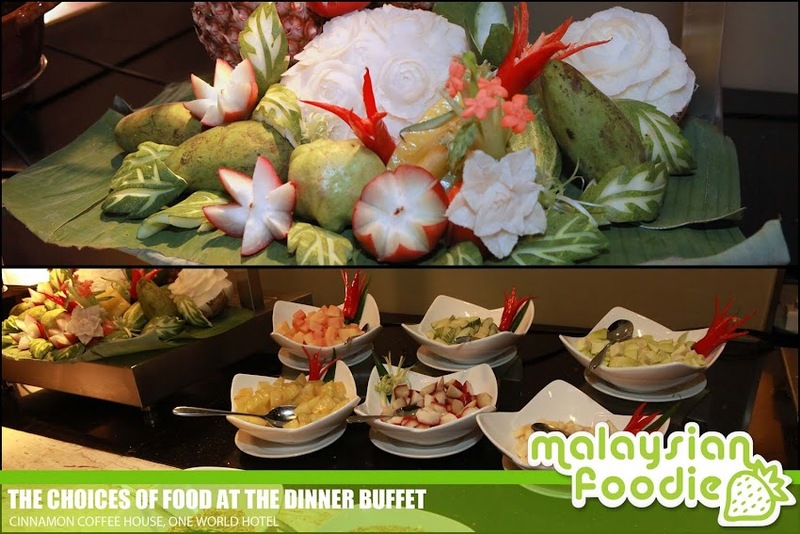 Last but not least, they do serve a variety of local fruits to complete your buffet meal. ya, the food is nice with lots of variety too. Can i know is the price listed on your website are correct? 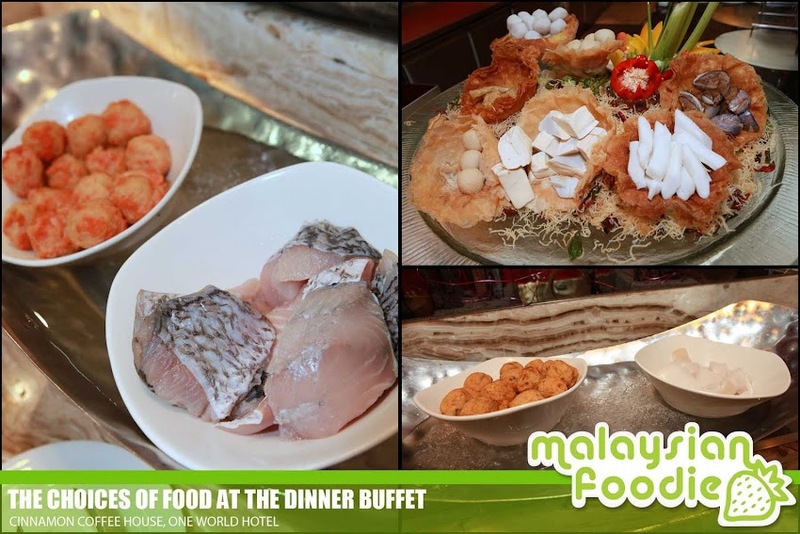 But i notice the price here is Buffet Dinner: RM 93.00++ / Adult (6.30 pm to 10.30 pm. When i call to 03-7681 1157 to do the reservation for 10 pax, customer service said per head rm118.